This month's #LocalTourGuide interview is with Monique from Frankie's Travel. A waterfall chaser, tour creator, business owner and travel enthusiast - Monique shares her favourite spots for visitors to #discover. Frankie's Travel offer unforgettable food and wine journeys from the Hunter Valley to the Mid North Coast and we've heard on the grapevine they are exceptional at what they do. Passionate about all things food, wine and fun, Monique loves to share her knowledge with guests. 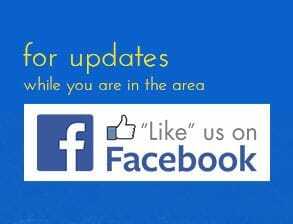 Check out Frankie's Travel Port Macquarie Tours online. Monique, do you get any time off to enjoy being on holiday at home on the Mid North Coast? I'm lucky enough to make my entire business around adventure so being a tour guide is almost like being on holidays already! When I'm not on tour with guests I like to spend my days exploring new places, and on a summer's day love to go chasing waterfalls - my favourite is the Rawson Falls hike in Boorganna Nature Reserve. This reserve is a significant remnant of the extensive rainforest that once covered the Comboyne Plateau. The reserve protects 396 hectares of diverse vegetation ranging from Eucalypt forest to subtropical rainforest. The 2.7km walk starts at the picnic area and descends through the tranquil rainforest to Rawson Falls. The return trip (uphill) takes about 2 hours at a steady pace. I also love going to the markets whether it's the wonderful Foreshore Market here in Port or the Laurieton Riverwalk Market. Where is your favourite place to explore in Greater Port Macquarie? Exploring our beautiful coastline is a favourite with so many trails to take. I do love a tourist drive on a Sunday and love heading to Comboyne for the amazing venues, and the quirky little township. Name your number one beach on the Mid North Coast? Flynns Beach has to be the fave, with a cafe right on the beach, plenty of shade, and both grass and plenty of sandy beach to lay out and while the day away. Great safe spot to take the surfboard out for beginners too! Any local secrets you can share? There's actually seven vineyards within the Hastings Region, surprising I know! I challenge locals to name them all, with most making it to four or five vineyards before they have to ask what other vineyards they're missing! With so many hidden gems in Greater Port Macquarie, including some of the lesser known vineyards, it makes for a great day out to come on a food, wine and brewery tour with Frankie and I and sit back relax and enjoy as we take you to all those special places that you otherwise wouldn't know to go! They are fabulous not to be missed experiences that sadly too many people miss unless you're with a local in the know. What is your top recommendation for holiday makers? I know Port Macquarie's biggest drawcard is the beaches and rightly so, however, I would say that there's still so much more to discover! 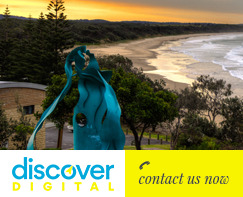 My top recommendation is to make sure to explore Greater Port Macquarie as we have so many special little townships and locally run businesses with huge amounts of character waiting for you to come in and say hello! Visiting the vineyards is great not just for wine lovers but for families too with Bago Vineyard and Rose's Vineyard both catering for families. Check out the Bago maze and Rose's Vineyard petting farm for fun with the kids. Oh some suncream, an umbrella, beach towel, a great book to read, my phone to listen to Spotify tunes and enjoy chilling for the week! Tell us your bucket list destination anywhere in the world? I have way too many to name them all, I'm just about to head to India which is on my bucket list, and then the next spot I'll have my eyes on is Africa! Boorganna Nature Reserve is a significant remnant of the extensive rainforest that once covered the Comboyne Plateau. The reserve protects 396 hectares of diverse vegetation ranging from Eucalypt forest to subtropical rainforest. Stroll the 2.7km walk that starts at the picnic area and descends through the tranquil rainforest to Rawson Falls. The return trip (uphill) takes about 2 hours at a steady pace. Bring your bird book, as the reserve is very popular for bird watching (best observed during the early hours of the day).